The beautiful city of the South of France, is also renowned for being a first-class cruise port. It is no coincidence that big cruise companies such as Costa Crociere, MSC or Royal Caribbean, have always focused strongly on Marseille. In this city the mooring takes place very far from the center. So you have to resort to means of transport. The various companies provide their shuttles to the center; you go from Costa Cruises € 10,95 € to MSC € 16,90 per person. Despite the high price, we suggest you to use these buses, because they will allow you to take advantage of the short time you have available to visit the city. Outside the terminal, alternatively, there are the inevitable taxis, whose prices range from 10 to 25 € depending on the number of guests and the area of ​​arrival. 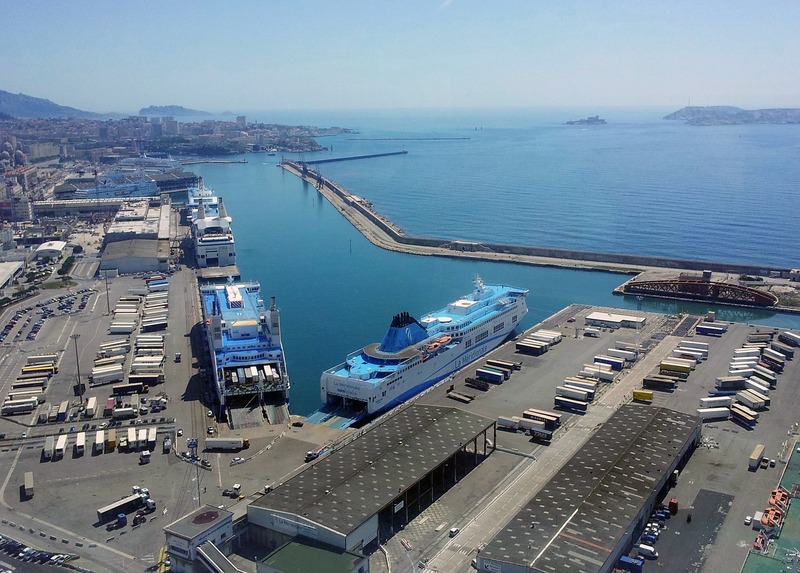 Anyone wishing to limit the financial outlay as much as possible and use public transport should bear in mind that you have to walk about 2 Km up to outside the port area where you will find the public bus stop "Littoral Gourret". The bus is the 35 number and the ticket is on board. With this last mode, you will use over 30 minutes to reach the center! Given the "dead" times between docking, disembarkation and moving around the city, the actual time available is reduced to around 5 hours: a time that is too small to visit the city. The team of Kanoa.it, will help you discover the greatest beauties possible in the shortest possible time, proposing two alternative routes. Vieux Port, Fort St.Jean, Palais du Pharo and the Cathedral. Start your tour by stopping at the wonderful Cathedral Sainte Marie Majeure de Marseille, an impressive church built in 1896 and considered a national monument. Beautiful view of its silhouette from Quai de la Tourette. A neo-Byzantine style church with dimensions comparable to those of San Pietro in Rome. Continuing, in the direction of Old Port, traveling briefly Dock du Port, imperious stands out Fort St. Jean, fascinating Fort located at the beginning of the port that at the time of the Crusades, was used to transport troops to the Holy Land. Do not miss the Roy René Tour and Tour du Fanal, which in ancient times served as Faro. From Forte you can enjoy a wonderful view of the city. On the opposite side, the Fort St.Nicolas, another citadel located at the entrance to the port. Beautiful outdoor walk of St.Jean with the "Migration Garden". Walk along Quai Du Rive Neuve to reach your new destination: the Palais and the Parc du Pharo, to Allée Dr Paul Louis Simond, a splendid and historic 19th century palace, built by Napoleon III for Queen Eugénie, and today a center for congresses and events. The Park, quiet, offers a spectacular view of the Old Port and the city. The gardens are open daily from 07 to 21. Reach the Old Port; from here, are organized every day, many excursions that lead to the famous Chateau D'If, an ancient fortress built on a small island in the bay of Marseille. This is a former prison, made famous by the writer Alexandre Dumas for setting the Count of Monte Cristo here, and has become, today, one of the most popular tourist destinations in the city. Frioul-If-express, offers an excellent crossing service at the cost of 10,80 € per round trip to the fortress. Ferries leave on average every hour; discounts are available for groups. On the official website of the company, more information. We strongly encourage you to consult the exact round-trip timetables from the portal. Castello d'If is open every day except Mondays and is charged € 5,50 for admission (free under 26). Once back at the Old Port, decide how to spend the little time you have left, by consulting the previous itinerary: you'll be spoiled for choice! PLEASE NOTE: all the information contained in this Brief Guide Visit Marseille, are for information purposes only. Therefore, you are always invited to plan your excursion taking into account the limited time available. We are not responsible for any repercussions for your cruise.